2016 marks the centenary of the birth of Italian painter Trento Longaretti. As a special tribute, an exhibition of his work is being held at Bernareggi Museum until January 2017. Longaretti was born in Treviglio in the Lombardy province of Bergamo on 27th September 2016. He became a well-respected and revered artist in Italy – he was also known for making his works both accessible and enjoyable for the general public. His works include San Francesco libera le colombe (which can be seen in the chapel of the Church of San Bernardino in Caravaggio) and the Stations of the Cross (which can be found at the Church of San Salvatore in Monasterolo del Castello). Longaretti would ultimately become the director of the Accademia Carrara in Bergamo between 1953 and 1978. The exhibition celebrating Longaretti's life and work has been organised by the Adriano Bernareggi Foundation in conjunction with the Longaretti Association. The exhibition boasts 42 of Longaretti's finest works. Rich in style, texture and theme, the exhibition is a fitting tribute to a key player in the art history of Bergamo. The exhibition is open six days a week from Tuesday to Sunday between 3pm and 6.30pm and remains open to the public until 9th January 2017. This time of year tends to garner many food and drink festivals, and Lodi is no exception. The Lodi Culinary Festival – currently on until 11th December 2016 – has attracted more than a mammoth 750,000 visitors who have come to sample the wide range of traditional dishes on offer. This year's event looks set to add to that number. The Culinary Festival sees the local restaurants looking to Lodi's food history, with a good number providing food dishes based on the traditions from the area. Autumn time is a season for products such as chestnuts and pumpkins, and there will be menus concentrating on these. Another aspect of the festival is that of cold cuts and cheeses, and the likes of Pannerone and Raspadura are common favourites. Don't forget the wines! Local cellars will be offering a good selection of products for visitors to sample and buy. All told, this is a food and drink festival rich in taste and heritage. Definitely one to sample. The Winter season gears up for some first class skiing action, and one prime example of a great skiing event is La Sgambeda in Livigno. It's fantastic fun and a brilliant experience for anyone who comes along to join in the fun in the early part of December. It's a cross country skiing race that sees categories for both men and women, as well as young ones too, who can warm up in this race called the Minisgambeda. The fun factor is heightened with both prizes for the victors, and a hearty meal, which is a great reward for anyone who has worked up an appetite on the slopes. The Pasta Party caps off a great day out on the slopes, and signs off this ever-popular event in fine and delicious style. 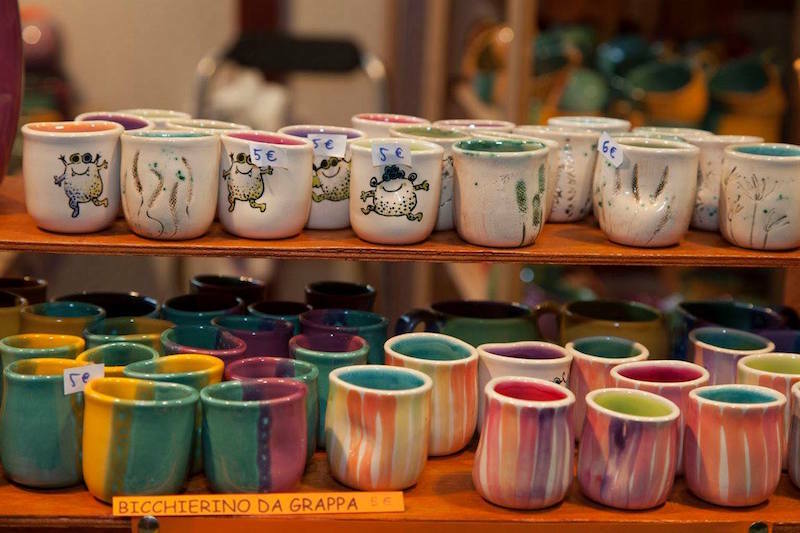 Artisan fans everywhere – Artigiano in Fiera needs you! The classic Artisans' Fair is coming to the region again over a period between 3rd and 11th December. It's a wonderland for anyone with a keen interest in artisan craftsmanship, and there will be plenty to look at and buy this Winter. The brilliant thing about artisan items is that there is nothing like them in the world. All unique, these items (in spheres such as fashion, furniture and crafts) not only make for a great present, they also provide you with a souvenir of true artisan talent. Thousands of exhibitors come to the fair – not just from Italy, but from Europe, Africa, Asia and the Americas. It's a fair that's strong on reputation, commanding the presence of many artisans from around the world. It's free entry, and in addition to the craft stalls and displays there's plenty to do and see, including musical performances and dancing. There's also a culinary theme as show-cooking and the chance to sample fine international cooking augment the fair experience. With Christmas on the way, let's look at some notable festive events in Lombardy! First up, how would you like to pay a visit to the home of Santa Claus? Well, Santa's opening his house to visitors as Lake Como plays host to Santa Casa Cantu. Santa's Casa es su Casa this season between 19th November 2016 and 7th January 2017. There will be a number of events taking place including workshops, creative face painting sessions and stories that will keep the young ones entertained, educated and also delighted. It's a special experience for young visitors to Santa's abode. They will be able to meet the man himself, tell him what they want for Christmas and look forward to the Christmas season in earnest. Santa's elves will also be on hand to help, so come on over to pay a visit to the magical abode of Santa. 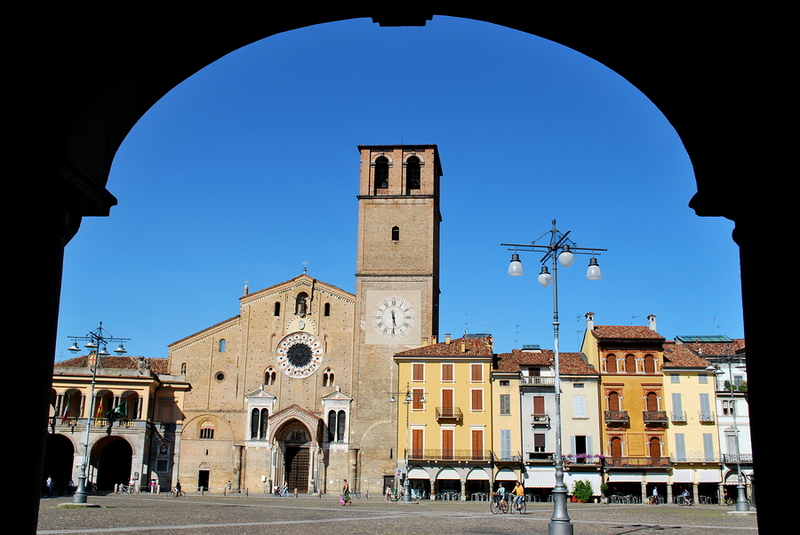 For a medieval backdrop for Christmas in Italy, why not pay a visit to the village of Bagnaria? The Christmas Market of Bagnaria has been a runaway success in 2014 and 2015, and 2016 looks set to repeat the massive acclaim as the market comes back on 8th December. It's an enjoyable market for everyone. Kids can bring along their letters to Santa, as they count down the days until a big pile of presents arrives under the tree on Christmas morning. There's plenty of food 'for everyone, with a nice selection of sandwiches, sweets, tea, hot chocolate (and mulled wine for the grown ups!). There's a real festive flair about this market. In addition to the unique gift opportunities available from local craftsmen, artisans and producers, there will be a free concert in the Church of San Bartolomeo, nativity scenes, and of course, genuine Christmas music as performed by pipers – a preferable alternative to the omnipresent Merry Christmas Everybody by Slade. Oh bej! Oh bej! This is one of the best known Christmas events in Lombardy, taking place in Milan around the date of 7th December. The history of this event spans a considerable amount of time. Originally, its origins can be seen in the latter part of the 13th century. Because the 7th December co-incides with the day of the patron saint of Milan, Ambrose, celebrations are also held in the saint's honour (the event is also referred to as Fiera do Sant'Ambrogio). Back in the 13th century, festivities were also held in Ambrose's name, but the first recorded Oh bej! Oh bej! was said to have occurred in 1510, when delegate of Pope Pius IV, Giannetto Castiglione, came to Milan on that specific date bearing sweets and toys for the children (as a way of finding favour with the locals). The gambit paid off and a warm welcome was given to Castiglione, and since then, the event has been a mainstay of the Milan festive calendar. The celebrations are varied and hugely enjoyable for all. Crafts, antiques, toys and decorations (plus much more) are available to look at and buy, while foods can be consumed in great quantities – sweets are especially popular. There's a real party atmosphere in the air, partly because of the festive aspect of the event, and partly because it's a great homage to Saint Ambrose. 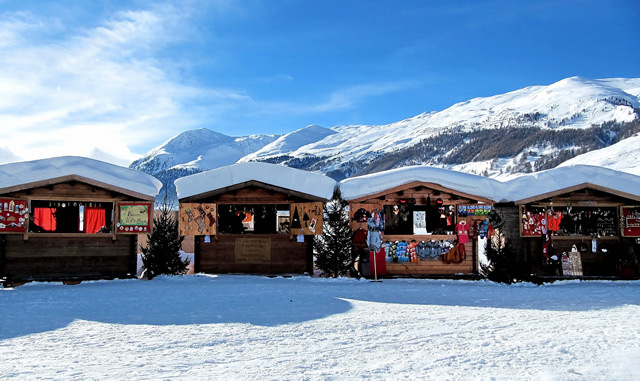 Another superb Lombardy Christmas market that's high on tradition and enjoyment is Livigno's Mercatini di Natale, which is happening between the end of November and the conclusion of the festive season. This is another bumper Christmas market that's packed to the limit with goodies such as festive talismans, jewels, herbs, essences and furnishings. Another notable offering is that of the traditional carpets, Valtellina's Pezzoti – plus wooden statues of the traditional Nativity scene. Santa will fit this event into his busy schedule and will be on hand to proffer goodies such as apple pancakes, mulled wine and roasted chestnuts to visitors. There will also be music from pipers, a retelling of the Nativity story, and also late night shopping which will give everyone the chance to sneak in some last minute Christmas gift hunting!